It turns out your mother was right about most everything that you just knew she had wrong. And now you're old enough to know just how amazing she is, how much she put up with for all those years, and she's still there for you, no matter what, when you need advice, a shoulder to cry on, or an extra helping hand. Each gift is made up of exclusively Nashville-made items from local makers and hand packaged with care and every item includes FREE gift wrapping and a FREE personalized note. We'll make sure it gets to your Mom. She'll be so delighted you were thinking of her. And you'll keep your status as the favorite child! All gifts ship from Nashville, Tennessee with priority shipping and will arrive within two days of ordering for local addresses or three to five days for nationwide shipping depending on location. Looking for a unique gift to send to friends or family across the country this year? Send a little bit of Nashville near or far with one of our ready-made handpicked local gifts. We've got great gift ideas for him and for her. The women in your life deserve the best and we've got some fun and unique gift ideas for her. Every item has been made locally in Nashville, Tennessee, so you know it's been poured, stirred, packed, or stitched together with love by local artisans pursuing what they love. He's probably the hardest person on your list to shop for this Season, so we've pulled together a few of our favorite gifts for the men in your life here. 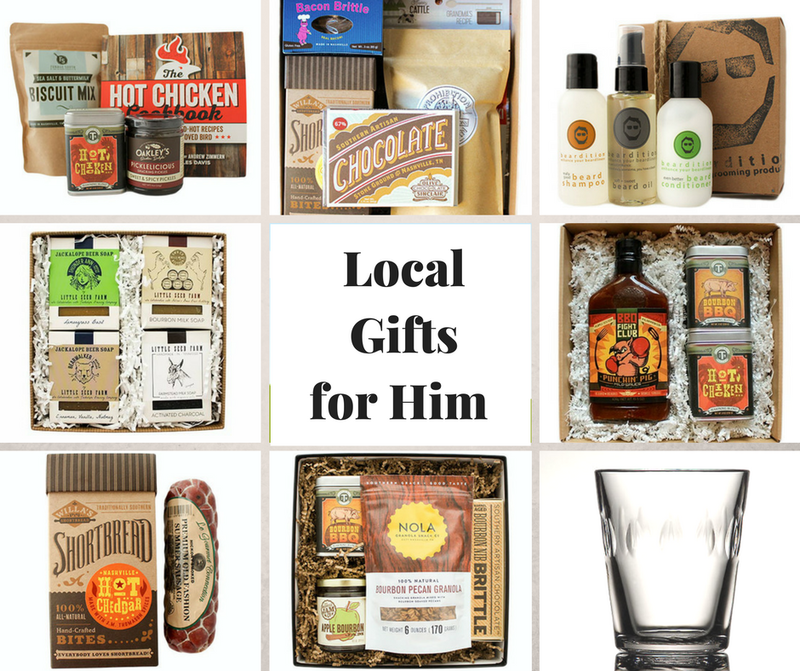 Every purchase supports several small businesses and you're guaranteed to get the very best gifts for the foodie, the grill master, the bourbon connoisseur, the clean shaven, or the well kept bearded man in your life. See something you want combined, substituted, or customized? Need help deciding? 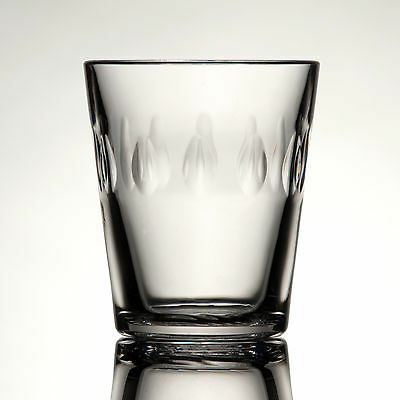 Contact us at gifts@highnotegifts.com and a gift concierge will help make sure it's just right! Roughly 60% of companies give gifts to employees or clients during the Holiday Season. Gift giving during this most wonderful time of year is a way to extend a warm sentiment of gratitude and appreciation. The ongoing success of any business is built on these very relationships and a gift can go a long way in maintaining and cultivating the best partnerships. If you’re responsible for making sure these gifts get sent each year, there are a few important items to consider when doing your own corporate or business gifting. The first thing to plan out is the timing of when you will get started and when you want the gifts to arrive. Get started as early as possible. When it comes to shopping for the best deals on personal gifts, many people believe the closer it gets to Christmas, the better the deal. When you’re talking corporate gifts, the early bird gets the worm. When you are ordering multiple gifts, get started early to ensure the best selection, the most flexibility in personalization details, and for the best opportunity to receive a discount. Most retailers offer discounts for orders placed early. Remember that it takes time to pull together all of the details. You’ll need to choose gifts, allow time to ask questions about discounts and personalization, pull together names and current addresses, and decide on the note you want sent with each gift. If you’re working with a small business or having something customized for your order, you may need to allow extra time for items to be made or personalized. Regardless of when you purchase, if you are sending gifts to a business address, you will also want to make sure to schedule gifts to arrive before businesses typically start closing for the Holidays. Every industry is different, but most companies allow extra time off during the Holidays and you can be sure that most people will have vacated the office by at least Christmas Eve. Often times, there are very few employees working the week between Christmas and New Year’s, so be sure gifts arrive no later than a couple days before Christmas or postpone them until after the New Year for the most impact. Be sure to allow plenty of time for shipping carriers to deliver packages during their busiest time of the year. If you find that you may be running short on time for gifts to arrive mid-December, consider sending something in January for a New Year’s gift instead. It’s a great way to stand out from other gifts they’ll receive and start the year on a high note. Be sure to have a budget in mind for what you will spend on gifts. The amount you spend really is not the most important aspect of a gift, so only spend what you are comfortable budgeting. Then focus on the quality and thoughtfulness of what you can afford within your budget. It is better to send a fantastic $10 gift than a less-than-impressive $100 gift. If you have clearly definable tiers of different clients or employees, consider choosing a couple of different gifts at different budgets so that your VIP recipients get a larger gift. If you are sending several gifts, be sure to ask for discounts even if there is not one published. And lastly, remember that you will need to budget for any shipping expenses and applicable sales taxes. Choosing the right gift is a skill in itself. There are a few things to consider when choosing what to send. First, be creative. If you have the ability to choose a different gift for every person based on what you know he or she will personally enjoy – do it! 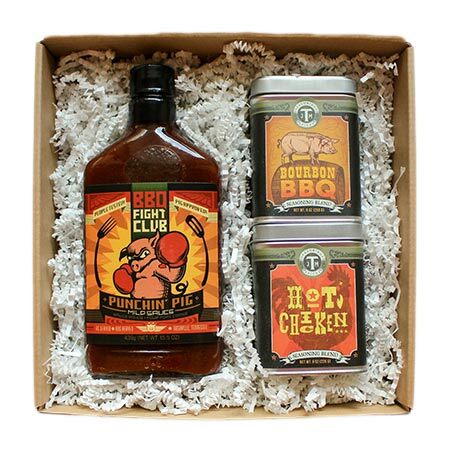 There is nothing that makes a bigger impact than an avid tennis player receiving a beautiful tennis bag or a Bourbon lover receiving a box of bourbon-infused artisan foods. If this isn’t realistic for your business, you can still make a great impression. When choosing one gift to send to multiple people, be sure to choose something that is gender neutral and a crowd pleaser. One certain bet is food. Food is the love language of the South and we’re pretty sure it’s enjoyed Nationwide. Gift baskets are a popular choice because they allow each person or office to receive a variety of different items so there is something for everyone. If you need to limit your budget, consider a unique candy or limited edition item that will be something fun and different to enjoy. Many companies send comfort foods during the Holidays, but you might also contemplate sending something a bit on the healthier side such as local honey or specialty coffee since more and more people are becoming more health conscious these days. Not all great gift ideas involve food. Something that can be used around the office or as a keepsake at home is one way to ensure they’ll remember you year-round for months or years to come. A unique set of coasters, a beautiful coffee table book, or a framed print are all items that they are sure to keep around as a reminder of your company. Anything that is made locally or has a “give-back” aspect is sure to be a hit this Season. Items that support a meaningful cause or local community often have more significance and add a sense of kind-heartedness to your gift for both you and the recipient. Finally, if you are sending something from you personally and not the company as a whole, consider choosing something you personally love and send it with a note that tells them that you chose a gift that is one of your absolute favorites or supports a cause close to your heart. It establishes a connection and allows your gift recipient to share in something you care about or enjoy. No matter what you choose to send, you will want to make sure they know it is from you. The easiest way to do this is with a heartfelt note sent with every gift. Many companies will send a typed or handwritten note on your behalf. If that isn’t offered, ask if they will allow you to send your own notes to be included. Another way to personalize the gift from your company is to partner with a company that allows the item or packaging to be branded with your company logo or colors. That might be in the form of a printed ribbon, a stamped gift box, or a personalized item that goes inside each gift. 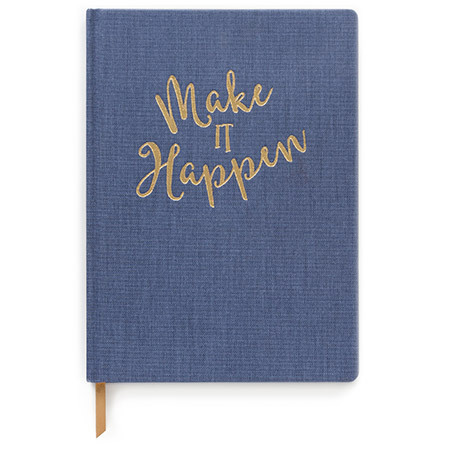 If you have extra time to collaborate on an item made just for you, think outside the box about what you might have sent from your company like a handcrafted leather journal with your logo embossed or a tin of your favorite cookies with a custom designed sticker on each tin with a special message from your company. Once your gifts arrive, it is important to listen for feedback and take it into consideration for next year so you know what was a hit and what needs to be reconsidered. A gift that is loved by many or a company that ensured your packages arrived on time and in good condition is worth looking at again next year. Forming a partnership with a company to help with your gifts each year is beneficial. You will save time and money by working with a company that already has your logo, preferences, and budget in mind when helping you plan the perfect gift for your clients each year. If you are aware of these five pivotal aspects, then you’re already an expert at corporate gift giving and practice makes perfect. Hopefully you have some creative ideas flowing and you are well on your way to making clients or employees leap with joy over the gifts they receive this year. Cheers to making spirits bright. Happy Holidays! They say you’re never too old for Halloween, but what happens when you outgrown trick-or-treating and block parties? Here are five fun ways to celebrate Halloween in style! Skip the part where you dress up to knock on doors asking for candy and go straight to the good treats! Whether you’re giving or receiving, our Halloween treats put a sophisticated spin on local, spooky goodness. Our Trick or Treat basket includes caramel kettle corn, pumpkin spice shortbread cookies, a coffin-shaped peanut nougat chocolate bar, and 6 assorted truffles from ghost pepper to bacon caramel flavors. Scary movies have evolved a lot over the last several years, but the Rocky Horror Picture Show is still a classic. Catch a midnight showing at the Belcourt Theatre. Or, invite friends over for a scary movie marathon of your choice. Movie nights should have snacks and there’s nothing more nostalgic this time of year than caramel apples. We suggest grabbing a jar of Momma Nik’s Whiskey Caramel Sauce to drizzle over sliced apples for an easy-to-eat version of a traditional caramel apple with a hint of whiskey. Costumes can be fun, but sometimes just a small accessory is all you need to get into the Halloween spirit. We love these skull rings from Red Earth Shop. Get tickets to one of the many tours or concerts this month for a scary good time. We’re excited to see the Nashville Ballet’s performance of Dracula this year. Here Come The Mummies is a local band playing on Halloween that brings big band music and band members dressed like mummies together on one stage. Or, sign up for one of Nashville’s many ghost tours to find out which buildings are haunted by the ghosts of our past. What is your favorite part of Halloween? Comment to tell us what you’re just dying to do this year to celebrate the season. BUSINESS GIFTS: What to Send, When to Send it, and How to Make an Impression! Business gifts don’t have to be boring. They don’t have to be something that you put in the office break room for everyone else to take home because, let’s face it, you didn’t really want to eat those cookies that taste like cardboard! That’s where we come in. Your clients will drool over locally crafted, small-batch bourbon caramels. They’ll rave about all natural strawberry jams. And you might just get personal phone calls about how much they love GooGoo Clusters. What Business Gifts Make the Most Impact? Be creative in how you’ll let your clients, prospects, and partners know that you appreciate them. Stand out with a thoughtful, well-timed, and personalized gift that you know they’ll enjoy. Sending something local always makes a big impression. It’s thoughtful, unique, and shows your support for other local small businesses. Our gifts always allow you to send quality, local goods that are beautifully packaged and are sure to be enjoyed by all. Consumable gifts are especially appropriate and can be shared with coworkers, friends, and family. Customizing a gift with a hand written note, your company logo or corporate colors ads a special, personal touch that is sure to impress. Essentially every aspect of gift giving can be customized. At High Note Gifts, we work with businesses to create an exclusive gift order that is tailored to a specific budget, need, and experience. Whatever the occasion, we would be delighted to work with you to create the perfect gift! When is the Best Time to Send a Business Gift? Many companies send gifts at Christmas time to show expressions of warmth and friendship during the Holidays, but it’s also important to be sensitive to individual religious beliefs. Why not send something for Thanksgiving to let them know how thankful you are to have the opportunity to work with them? Or, consider sending a New Year’s gift that says cheers to another great year! Plus, when sending gifts outside the typical Holiday season, your gift stands out from the crowd of gifts your client may be receiving at Christmas. There are countless other reasons to send a gift all year long whether you’re sending holiday wishes, celebrating another big sale, welcoming clients to an event, or showing your ongoing appreciation for the administrative assistant you know you couldn’t actually live without. When you’re celebrating life together such as birthdays, weddings, retirements, etc. Let us help customize the perfect gift, or the perfect 1,000 gifts for you. And don’t be surprised if you start getting subtle "hints" about what they want next year! These local finds will add a touch of sweetness to any child's Easter basket! Valentine's day is coming up fast! Don't let us catch you at Walgreens on February 13th hoping you'll find a card and some chocolates before they're completely sold out. You can do better than that! With a little help from us, you'll find a gift that's unique, local, and thoughtful. We put together a list of our top 12 Uniquely Nashville gift ideas for your Valentine this year! Don't see something they'll love? Tell us about who you're shopping for and we'll send you a customized list of ideas just for your special someone. Get her flowers that will actually last! These beautiful flowers are made by Amaranthus Paper & Flora, a mother/daughter team based out of Nashville and Atlanta. Need a little help writing an old fashion love letter to pair with your Valentine’s flowers? Hallmark breaks it down for you here. If he loves hot chicken, he’ll love this Valentine’s day gift idea! Pick up a gift card to Hattie B’s and pair it with a T-shirt from Project 615. As a bonus, you’ll feel great knowing that 100% of the profits from Project 615 t-shirts go to world changing organizations, including those that specifically help the homeless community of Nashville. Is he a clean shaven kind of guy or a bearded fella? Either way, keep him looking his best with one of Nashville’s own Beardition’s ultimate Valentine’s Day product gift sets. The talented Nashville based Brittany Fuson designs fashionable stationary that is perfect for the coffee addicted! Pair a notepad with a Bongo Java gift card she can use it to feed her addiction at Fido, Bongo Belmont, Hot & Cold, or Bongo East Café! Pick out a handmade bear, pig, alligator, or fox from Nashville owned Scout Baby for your little one this Valentine’s day. Pair it with a bag of Colt’s chocolate covered animal crackers for the perfect kid's valentine gift. Sometimes man’s best friend is the best Valentine in your life! Doggies like gifts too! Fin and Lil has a bow tie that will make him look dashing and See Spot Eat will keep him happy with a special treat just for him! What does Nashville smell like? Leather and whiskey of course! Guys will particularly love this manly scented candle from Southern Firefly. Each candle is hand poured and made to remind you of being on Broadway in Nashville, TN. Guys, trust us – you’ll score major brownie points if you take her to a ballet! Nashville Ballet’s Attitude will be performed February 13-15 and combines dance, music, and art to inspire her creative side this Valentine’s weekend. Skip the line at Wal-Mart this year and pick up a unique box of handmade chocolates from Nashville’s Chocolate F/X. Choose from a small or large assortment of Valentine’s day chocolates with a fun Rock n Roll attitude! Love heals! Thistle Farms lavender candles not only provide the gift of relaxation, but sales of Thistle Farms products help the Magdalene non-profit, a residential program in Nashville for women who have survived lives of prostitution, trafficking, addiction and life on the streets. Willy Wonka’s Chocolate Factory might not be real, but Olive & Sinclair is and it’s right here in Nashville. Having won numerous awards and accolades for their stone ground chocolate, you can’t go wrong by picking up some chocolates for your Valentine and booking a tour for a sweet date idea. Send them a taste of Nashville! 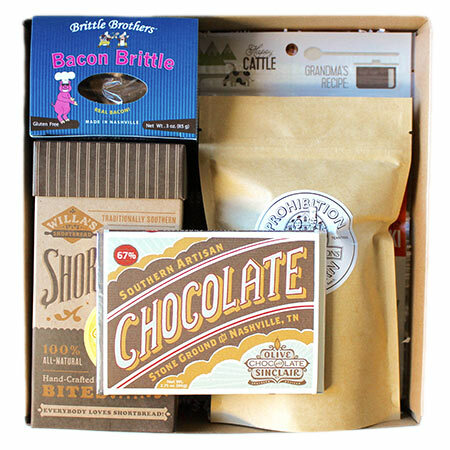 A gift crate from us at High Note Gifts is the perfect way to share all the things you love from Nashville with the ones you love! 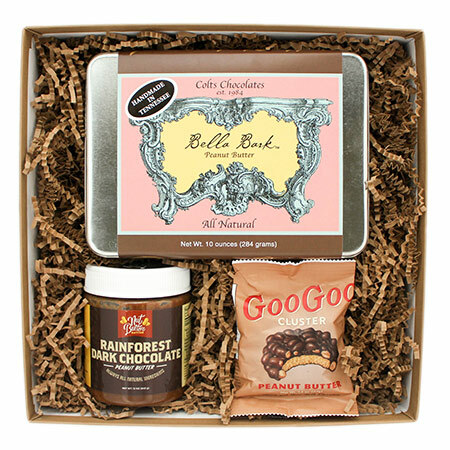 Tell your clients, friends, or students away from home how much you love and appreciate them this Valentine’s Day with a gift crate that’s sure to please! What are you planning on giving to your Valentine this year? Is there anything you're hoping to get? Valentine's day is not just for couples. Make someone's day with a thoughtful gift that let's them know how much you love them and appreciate them being a part of your life. Autumn Inspiration : Happy November! If you ever wanted to be Martha Stewart or Betty Crocker, but you don’t actually know how to cook, or if you’re a bachelor trying to impress the ladies, Soberdough is going to make all of your dreams come true! Okay….maybe not all of them, but you’re going to love how easy and fun they’ve made homemade bread. 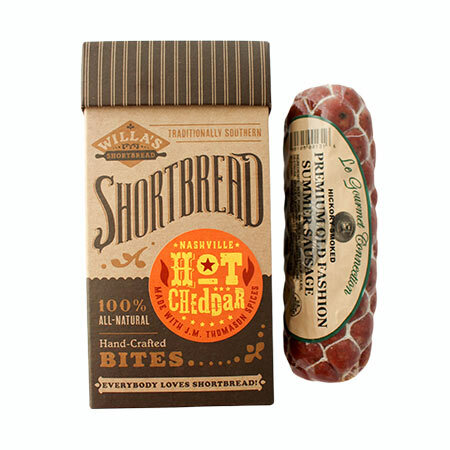 In our search for great Nashville made gifts, we recently came across Soberdough bread mixes and knew we just had to try it for ourselves. After all, we wouldn’t want you to get or give a gift that has sub-par products. We’re committed to bringing you only the very best! Seriously. No “filler” products. Just genuinely awesome stuff. Soberdough carries a host of different flavors like Roasted Garlic, Cinnful Raisin, and Buffalovin Wing, but we were dying to try the Green Chile Cheddar mix. So we procured a bag, checked the fridge for beer, and got started right away! Step 1: Procure Soberdough bread mix and pour into a large bowl. Step 2: Pull out a bottle of beer (or carbonated water) from your refrigerator & pour it into the same large bowl. Step 3: Pour 1 cup of cheddar cheese into your bowl and mix everything together! Step 4: Bake in a 9x5 bread pan at 350 degrees for 45 minutes. Step 5: Let cool, slice & enjoy! It’s really that simple and it turned out to be delicious! Moist, flavorful, and downright yummy! We paired ours with a bowl of hot chili while watching some SEC football. Fall just doesn’t get much better than this! Soberdough is not just easy and delicious, but it’s made right here in Nashville with all natural ingredients. Created by a mother-son team, Soberdough is everything we love about the creative community in Nashville. Find out more about their story here. If you’ve tried Soberdough too, tell us which flavor is your favorite. As for us, we’ll be keeping a bag or two in our own pantry and keeping the shelves of High Note filled with Soberdough so we can bring it to you via our Nashville gift collection!